Get to know Dr. Cynthia Grace, who serves the Brentwood and Walnut Creek, California areas at her private practice offices and Cancer Support Community. Dr. Cynthia L. Grace is a Clinical Psychologist whose private psychotherapeutic practice is specialized toward the treatment of persons who are impacted by chronic health and medical conditions, such as cancer, diabetes, pre- and post-organ transplant, aging issues and more. 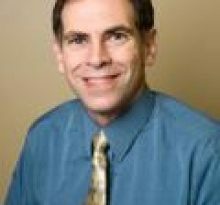 Dr. Grace provides services in Walnut Creek and Brentwood, CA. Dr. Grace is also a Therapist, Outreach Coordinator and The Director of Training, on staff part time, at Cancer Support Community in Walnut Creek, CA. As a psycho-oncology specialist, she facilitates support groups, delivers workshops, and provides targeted services to persons affected by cancer. Dr. Grace has a deep understanding of the issues that impact people who manage chronic illness and concomitant problems, such as developmental delay, complicated medication regimens and life-threatening secondary illness. In her own personal journey, she has 26 ongoing years of experience as a mother, caregiver, advocate and organ donor for her son, who experienced kidney failure at birth. 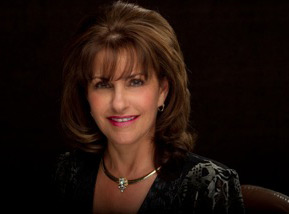 Due to the challenges associated with these complex multiple roles, after 28 years in the business world, in 2007, Dr. Grace redirected her career path to earn a doctorate in Clinical Psychology in order to reach out to patients, caregivers and their doctors on a professional level, where she felt she could have a more broad-reaching positive impact. 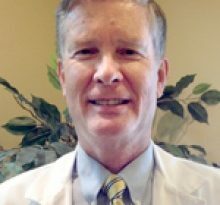 Study findings reveal that patients, caregivers and family members dealing with medical illness experience trauma; however findings of empirical research studies, including Dr. Grace’s study on caregivers of transplant children, also suggest the possibility for personal growth and transformation beyond suffering, therefore, Dr. Grace helps patients to identify and process their illness-related issues within the framework of an empowerment model. Dr. Grace attributes her professional success to her heart-driven passion for what she does, sincere caring for her patients, and years of hard work both personally and professionally. She participates as a volunteer in various outreach efforts. She is the founder of her own non-profit organization to build awareness of the need for organ donation. Dr. Grace is a member of the American Psychological Association and the US Coast Guard Auxiliary. Dr. Grace volunteers her services in additional organizations, including The National Kidney Foundation, Donate Life America, Bay Area Kidney Patients, and The Patriots Jet Team Foundation. When she is not working, she enjoys ballroom dancing, Pilates Reformer, reading, playing the piano and spending time with her family and friends. 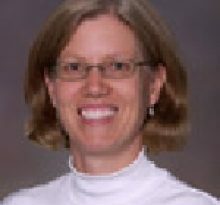 Learn More about Dr. Cynthia L. Grace: https://www.findatopdoc.com/doctor/81227009-Cynthia-Grace-Psychiatrist, Private Practice Website Angels of Grace http://angels-of-grace.com/, where she can be contacted at drcynthiagrace@gmail.com, Private Practice Office 925-420-5653 or through Cancer Support Community San Francisco Bay Area https://www.cancersupportcommunity.net/, where she can be contacted at 925-933-0107 (ext. 1120) . FindaTopDoc is a digital health information company that helps connect patients with local physicians and specialists who accept your insurance. Our goal is to help guide you on your journey towards optimal health by providing you with the know how to make informed decisions for you and your family.